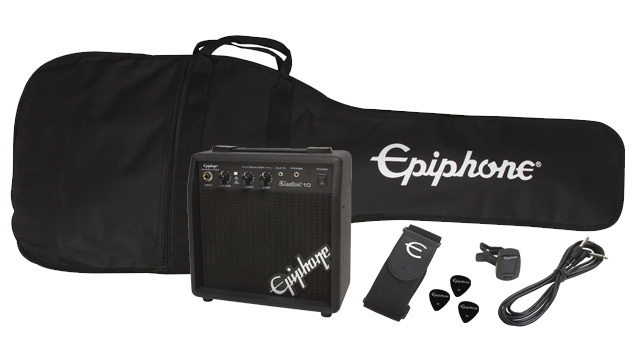 The Epiphone SG Junior Pack includes everything you need to start playing electric guitar right away including a legendary SG-Junior, an Epiphone Electar-10 watt amplifier, plus gigbag, clip-on headstock tuner, strap, cable, picks, and free online lessons from eMedia in English, French, German, and Spanish. Available in Worn Cherry and Worn Black. The SG Junior is slightly smaller version of the rock classic with a Solid Alder body and a Hard Maple neck with a smooth Torrefied Composite fretboard. 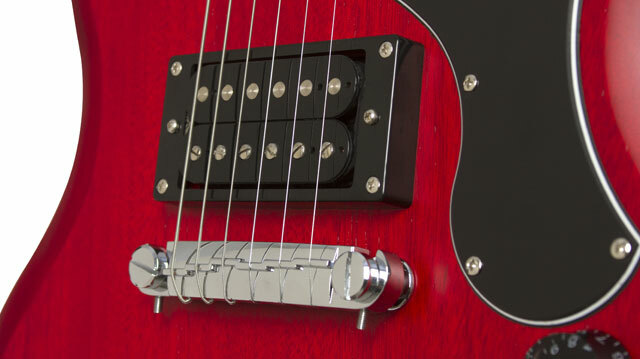 The SG-Junior is powered by a classic 700T open-coil humbucker. 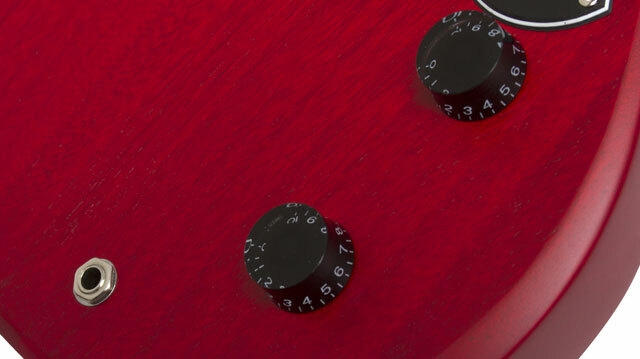 Controls include Master Volume and Tone. Epiphone’s rock solid hardware includes an adjustable Wrap-Around "Lightning" Stopbar bridge and tailpiece combo. The SG-Junior Player Pack comes with a powerful 10 watt Epiphone Electar-10 amp with a 6” speaker in an open-back cabinet with controls for master volume, bass, treble, plus an overdrive/clean button, Aux in, headphone out, and Rocker switch.